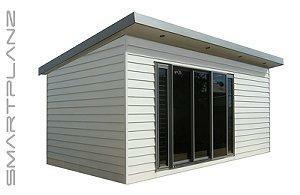 A stunning modern design featuring full height joinery and optional matching deck. Ideal for contemporary bach, grannyflat or micro-home. 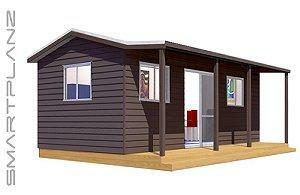 Designed for one to four bedrooms. A traditional gable design with a range of roof pitches. Skillian or flat ceilings with a choice of nine cladding options. 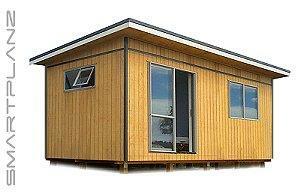 This Pent design is a modern yet ecomonic style, great for serviced sleepout, office, bach or grannyflat..
A rugged style, based on the transport container, but without the size limitations. Intergrated porch optional. 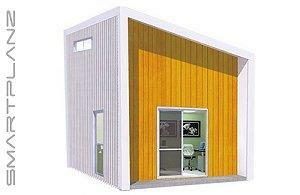 Available with nine cladding options. 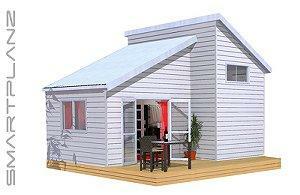 Designed for economy, there are seven shell sizes suitable for sleepout, office, games room, bach, grannyflat of home. All available with custom interiors to client's requirements. A unique style with high transom windows. Ideal for art studio or where good natural light is required. A traditional rustic design with functional veranda space. 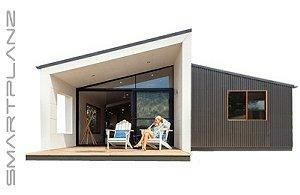 Ideal bush or beach bach, or granny flat. 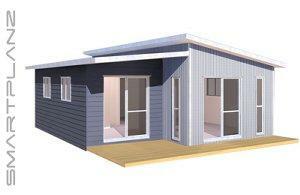 A contemporary design using our unique Euro style with complementing Pent annex. 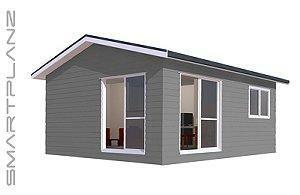 One to four bedrooms, matching deck and trim optional. 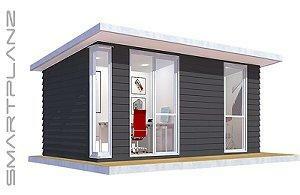 A modern, flexible design, using two Pent modules offering trendy cladding mixes. 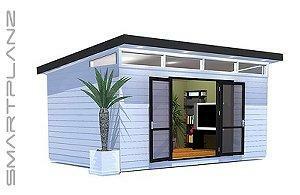 Ideal for bach or grannyflat, with one to four bedrooms. design has micro kitchen, bathroom and twin loft beds..
A unique loft design with partial mezzanine floor for additional storage or sleeping space. 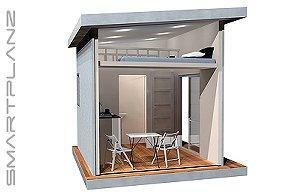 A modern design with full or partial mezzanine loft floor. Available in nine claddings, offering trendy cladding mixes. 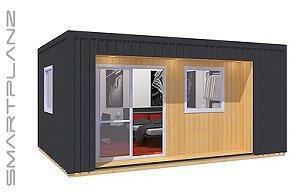 Ideal for sleepout, serviced cabin or bach..
Design Your Own Cabin, Granny Flat or Bach. Select style, size and cladding, rooms, kitchens and bathrooms. 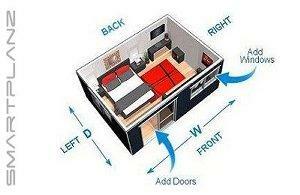 Position doors and windows to best suit your living and site requirements.